Do you know the history of this South Hyde Park block? 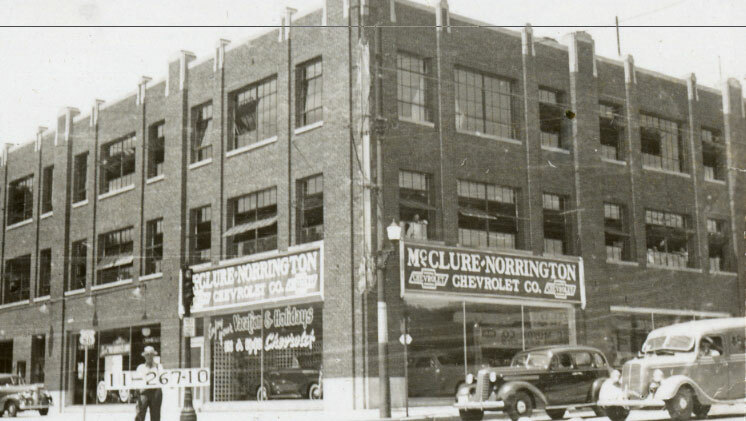 The McClure-Norrington Chevy dealership stood at 4524 Troost in this 1940 photo. Today, we look at residences and businesses in the South Hyde Park neighborhood, from 45th Street south to Brush Creek, from Gillham/Harrison to Troost. 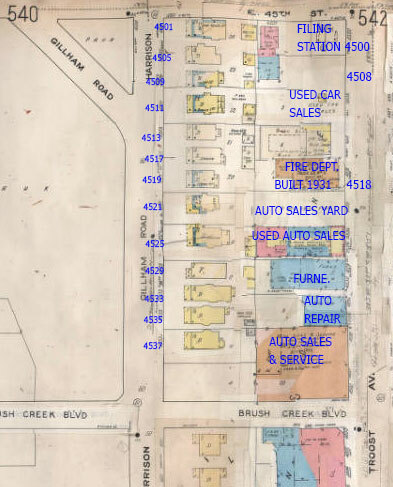 As you can see from the photos in the slide show and in the Sanborn Fire Insurance Map (below), Troost Avenue was dominated by auto-related businesses in 1940. The block also included the Fire Department Hose Company 31 and Fire Engine Company 11. 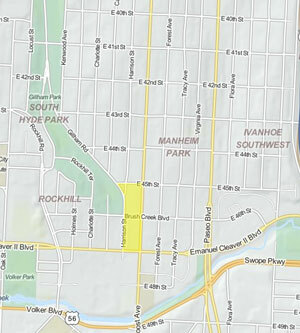 Along Gillham, there were rows of small bungalows that make up much of South Hyde Park’s internal streets. I lived with my parents at 4501 Gillham Road from by birth, January 1964 until sometime in 1970. I recall that home being divided into three apartments. We lived on one floor at the time of my birth, I believe the third floor and then a few years later, we moved to the second floor.